The procedure involves the use of a modified type of RNA (ribonucleic acid), one of the features of a chromosome. RNA carries instructions from genes in the DNA to a cell's protein-making factories, and with the new method increases the length of telomeres by 10 percent, allowing the cells to divide about 28 more times for skin cells, and about three more times for muscle cells. "This new approach paves the way toward preventing and treating disease of aging," said Blau. 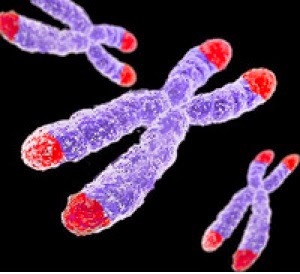 "There are also highly debilitating genetic diseases associated with telomere shortening that could benefit from such a potential treatment."